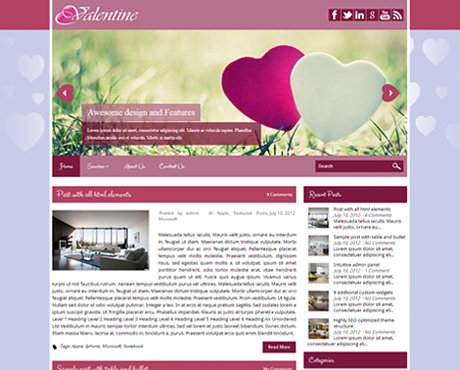 Valentine WordPress Theme is a fixed width theme made exclusively for your valentine or dating web pages. It is enriched with all the trendy features a WordPress blog needs. 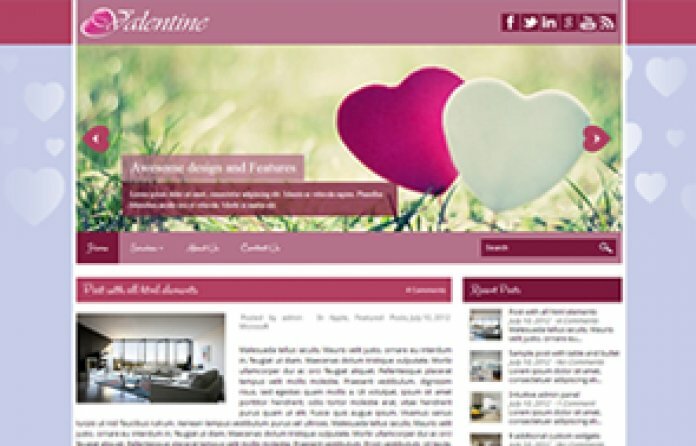 Responsive design, custom widgets, event calender and lot other exciting features are packed in Valentine WordPress theme.